The desert sun was beating down on me. The strong winds were hitting my face. I pedalled hard on the overused bicycle. By the time I arrived at my destination, I felt a little light-headed. I was riding a bicycle on the driest place on earth, at an altitude of 2408m above sea level. 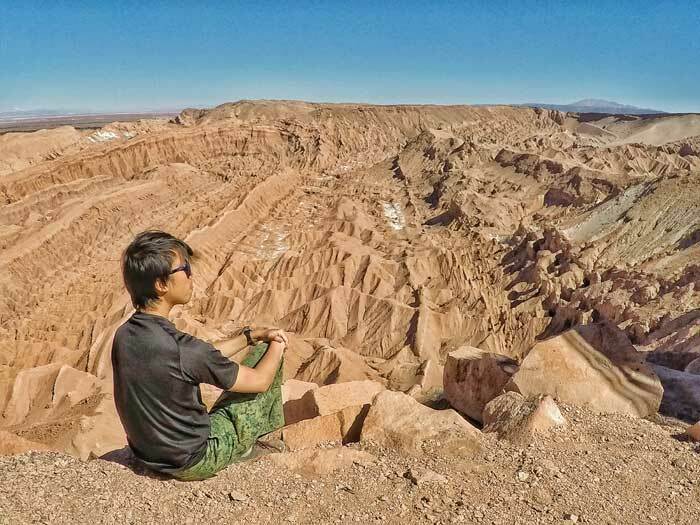 It was my third day at San Pedro de Atacama, the small tourist town in Northern Chile. 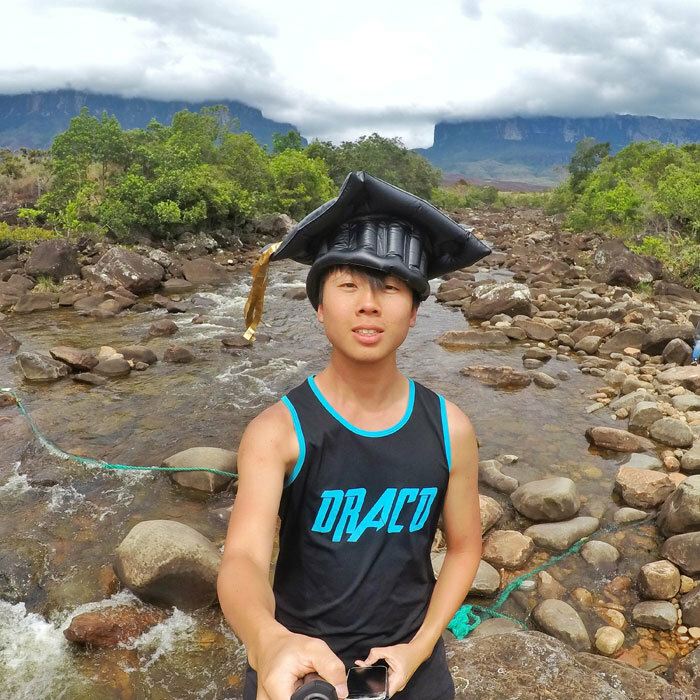 Every tour to the beautiful surroundings was overpriced, and I chose to rent a bike to explore the area independently instead. 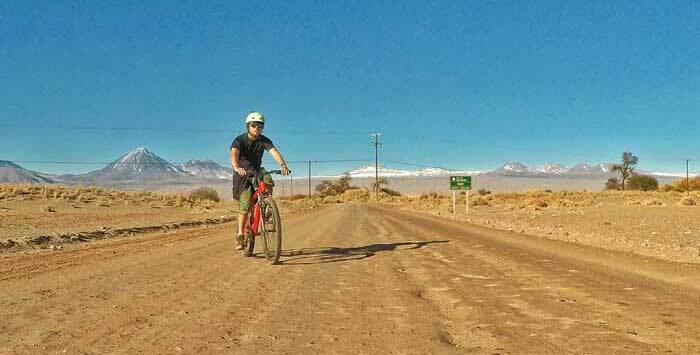 Cycling in the Atacama Desert is a common activity and two of the most common trails are the to the Valley of the Moon and the ruins of Pukara de Quitor. Just 3km out of town is the Pukara (or Fort) built more than 700 years ago on the hill of Quitor, next to the flowing waters of the river San Pedro Rio Grande. I rented a bike from Rym, a company recommended by my hostel, and was provided all the equipment including a pump, helmet, lock, map and maintenance kit. It was a handful of things to carry so bring a small bag along. The staff clearly explained the route with photos and important points to note at different section of the route. Sounds easy enough for me. The path was straightforward; a little bumpy on the gravel road but not strenuous. It was dusty and sunny, so sunglasses are highly recommended. I hadn’t ridden a bike for a long time and riding in the driest place on earth at a high altitude sounds crazy, but I reached there in 15 min. I was only slightly out of breath. Though, I’d think that riding early in the morning would’ve been a wiser choice to avoid the brutal afternoon desert sun. YOU MIGHT ALSO LIKE: Cycling Death Road: The World's Most Dangerous Road? There are bike racks outside the entrance to lock your bikes. An old gentleman collects the entrance fee and gives you a ticket. Thankfully I still had my student card and saved CLP $1000. A line of signs along the entrance briefly introduces the history of the area and the Spanish conquest. It ends at a small museum displaying objects that were excavated. 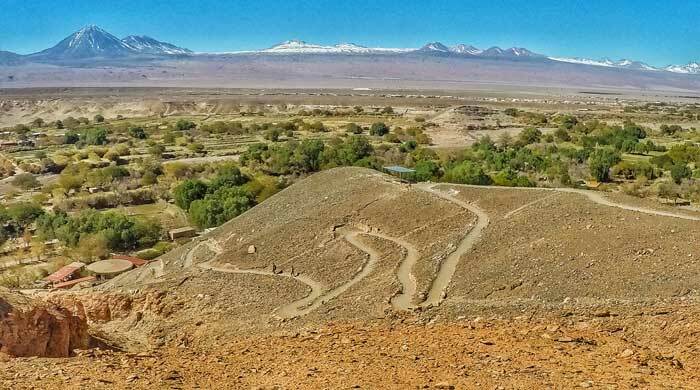 There are 2 paths: one leading up to a mirador (viewpoint) and another to the Pukara. I chose to take the long path up the mirador first. Big mistake. The 40-min path up to the viewpoint is a series of slightly steep, but not hard, switchbacks under the brutal hot sun. I stopped a few times to catch my breath, appreciate the views and to apply sunscreen. Near the top is probably the most iconic structure of the attraction: a pre-Incan styled stone arc. 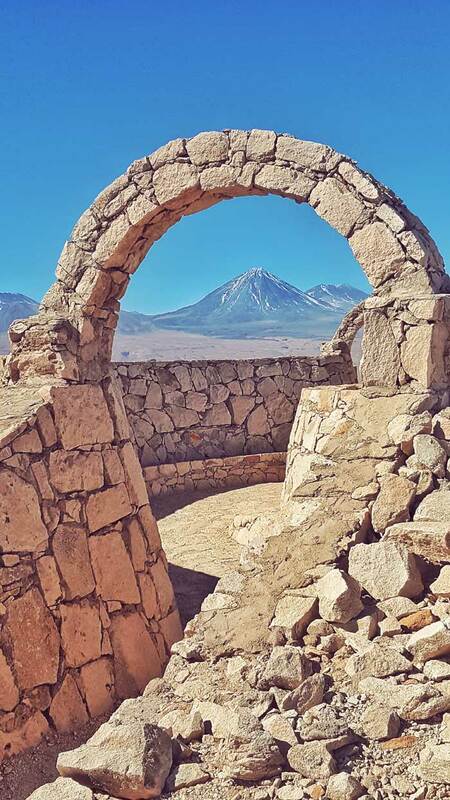 When looking from the right angle, it perfectly frames the distant Licancabur Volcano. At the peak, you are rewarded with a panoramic view of the surrounding desert, the town of San Pedro, and the Death Valley. To me, this is the best place to be awed by the otherworldly terrain of the Death Valley. Its brown jagged mounds of sand look like the scales of a dinosaur, giving a sense of how desolate and deserted this area is. Unfit for life – hence the name Death Valley. Interestingly, the name Valle de la Muerte (Death) resulted from a mistranslation. 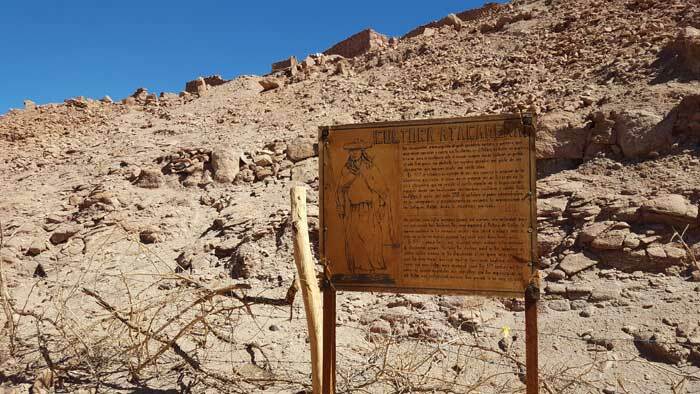 Originally called Valle de la Marte (Mars) for its Mars-like landscape, a Belgian priest misheard it spoken by the locals and at some point in history, mistakenly renamed it Valle de la Muerte. How sad! Imagine having your name misheard by a foreigner and be called that ever since. 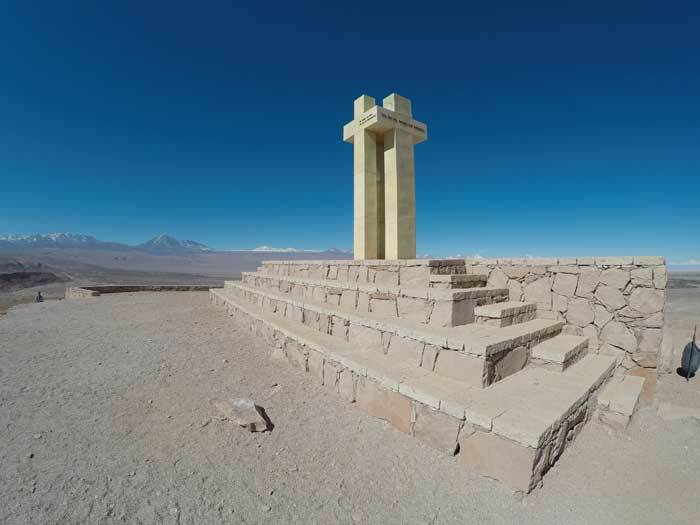 Also at the top is a cross; a monument and tribute to the bravery of the Atacameño people who faced the savagery of the Spanish conquistadores. The Pukara de Quitor is also known as the ‘castle of the heads’. It was ‘guarded’ by 300 heads - impaled on stakes around the fortress – of 300 soldiers of the Atacameño. Yes, the Spanish killed them, beheaded them and ‘decorated’ the fortress with their heads as a warning against defiance. It was sickening to know the history of the Spanish conquest. It was such a tragic loss that the monument is inscribed with “God, God, why have you abandoned me” in several languages, including Atacameño and Spanish. Speaking about fortresses, the other path up to the Pukara is a steep but short one. Unlike the Pucara de Tilcara in Argentina, you can’t walk into the ruins of the fortress here. 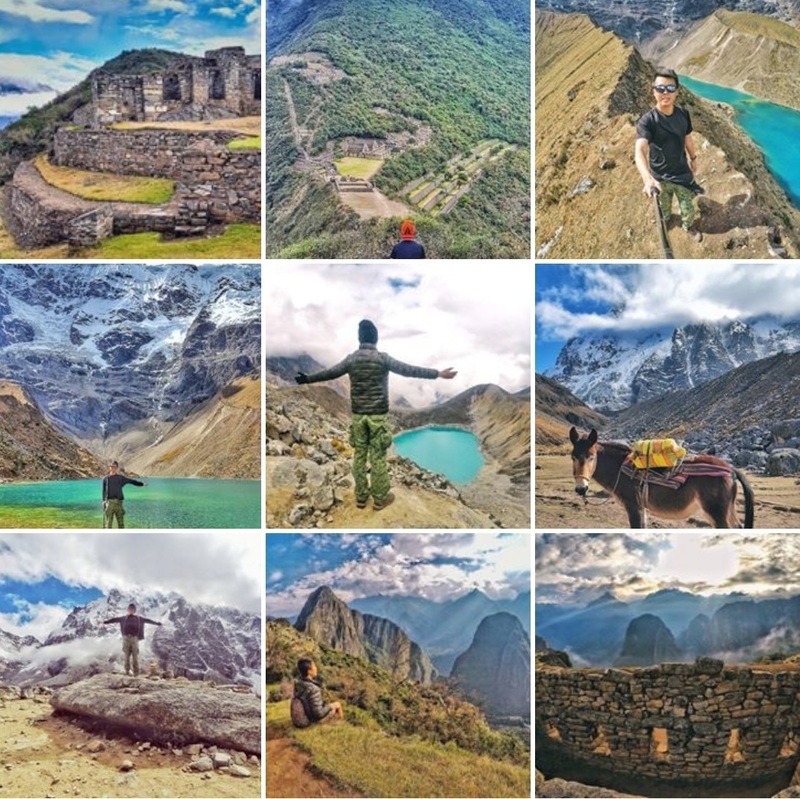 Instead, you only get to walk beside the pre-Incan stone constructions, built from the red rocks of the surrounding hills. As a history and ruin lover, to not be able to fully immerse myself in the experience was a disappointment. Hard to imagine the people defending against invaders and fighting for their lives when I can’t walk amongst the ruins. Declared a National Monument in 1982, the remains of what used to be a mighty fortress nevertheless held historical significance. The hill was chosen for its high vantage point of the surrounding areas – a key necessity of any defensive buildings and the fortress did its job well for more than 700 years until the Spanish came. 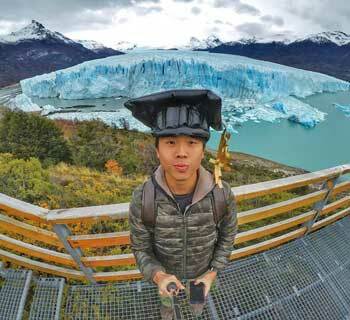 Having visited another fortress in Argentina, the ruins felt underwhelming for me. It was a big mistake to have climbed the path to the mirador before the Pukara. The outstanding views atop the mirador overshadowed the experience at the Pukara. 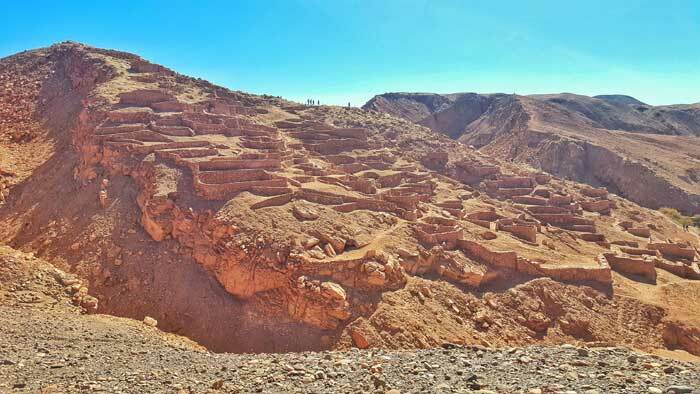 Visit the Pukara before climbing up the mirador. To make matters worse, I realized that I lost the key to my bicycle lock when I’m about to leave. I flipped through my bag and pants multiple times but alas, I accepted the help of the old gentleman. Together, we saw at the flimsy lock (he did most of the job) and I ended up paying an extra CLP $4000 for it. Cycling in the driest desert was an enjoyable experience. The Pukara de Quitor is a short ride away. 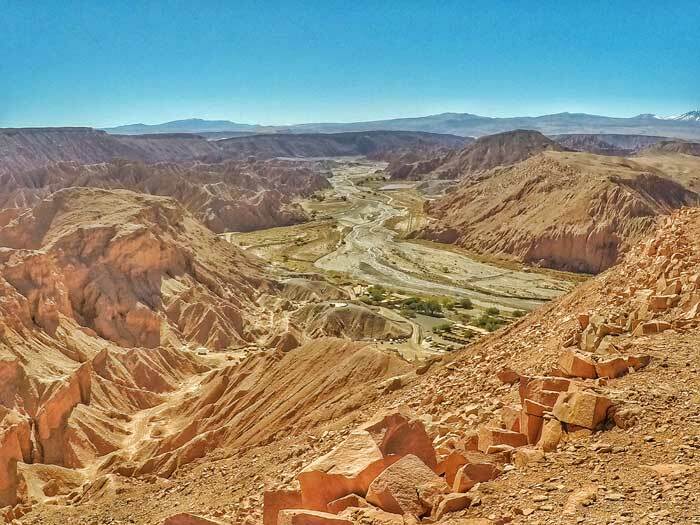 Another 5km will bring you to the Quebrada del Diablo, a small canyon with steep walls and cliffs and interesting rock formations. 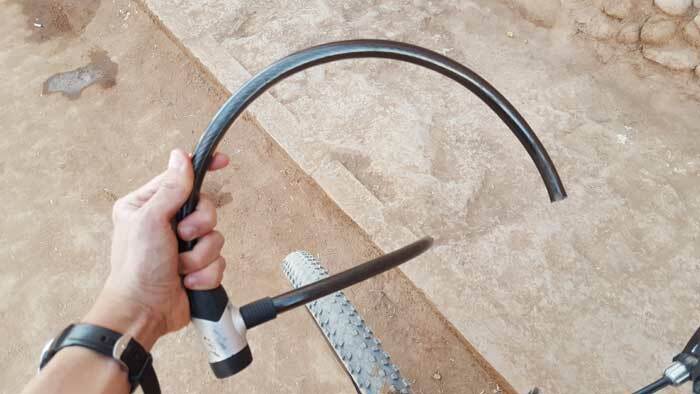 It is a popular extension from the Pukara, as long as you don’t lose your bicycle lock key like I did! Remember to bring food and water too! Click on any of these images for more details and availability.